Sophie’s mother Rose, as The Wall’s indigenous custodian, taught Sophie its secrets. When a bitter divorce forces Rose to leave, Sophie is powerless to stop her grazier father from taking custody of both Sophie and The Wall. Advances in computer technology enable Sophie to communicate, a fact she keeps secret from her father and his “cronies”. In Sophie’s presence, unaware she understands everything, they plot to develop a multi-million dollar tourist resort in The Wall. The development will only go ahead if the rare wallabies are already extinct, so they hire roo shooters to help nature along. In desperation Sophie writes Silent Scream, an anonymous blog that reveals the threat. When an environmental study team commissioned to find the wallabies goes missing, the rescuers appeal to Silent Scream for help. Raising awareness is one thing, but how can one impossibly disabled girl who can’t help herself, help save the lives of others? and naturally. I loved her powerfully hungry take on life and the environment. In this wonderfully drawn protagonist, the author’s unique style caused this sardonic Murri to read the entire book in a sitting. I cheered for both the author and the resilient, eccentric character who will live long in both heart and memory." A movingly-great read! A great story teller. [A] resilient, eccentric character who will live long in both heart and memory. John Wenitong (Pemulwuy Weeatunga), author of "The Fethafoot Chronicles"
5.0 out of 5 starsShould be an Oscar winning movie. Once I started reading this book I could not put it down until the sun came up. It is only a matter of time before someone buys the movie rights. The movie will make somebody an Oscar winner. I have known Patricia for over ten years and it does not surprise me that she has written a worldwide best seller. Her forte has always been english and psychology, much to my annoyance on occasions, but it is a fantastic combination when it comes to writing a book. 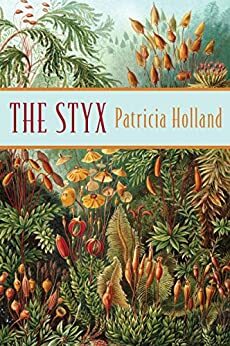 Patricia’s insights into human psychology has always amazed me and this book is no exception when she takes the reader on a journey with a severely disabled child who is perceptive and learns to express herself with technology. We get a warning that non-indigenous Australian’s must not underestimate Indigenous knowledge or their love for “country”. It makes for haunting and compelling reading. 5.0 out of 5 starsWow! an exciting journey through the highs and the lows of human nature, set in a landscape of mesmerising beauty.. Contemporary gothic fiction at its best, a beautiful heroine who rescues herself and a threatened native species as well. The ominous and haunting beauty of the Australian wilderness is described with a tantalizing seductiveness evocative of the classic novel Picnic at Hanging Rock. 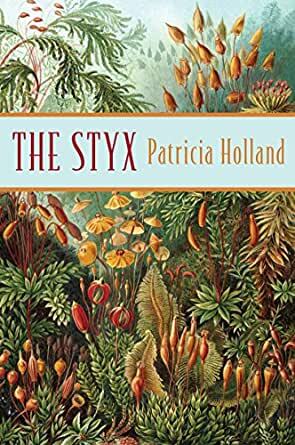 In the Styx the characters are contemporary, very real and not perfect at all, some are heroic in their loyalty to others, especially Sophie an extraordinary young woman. Whilst reading this book I laughed and cried and gripped my pillow in suspense, a totally engaging book.